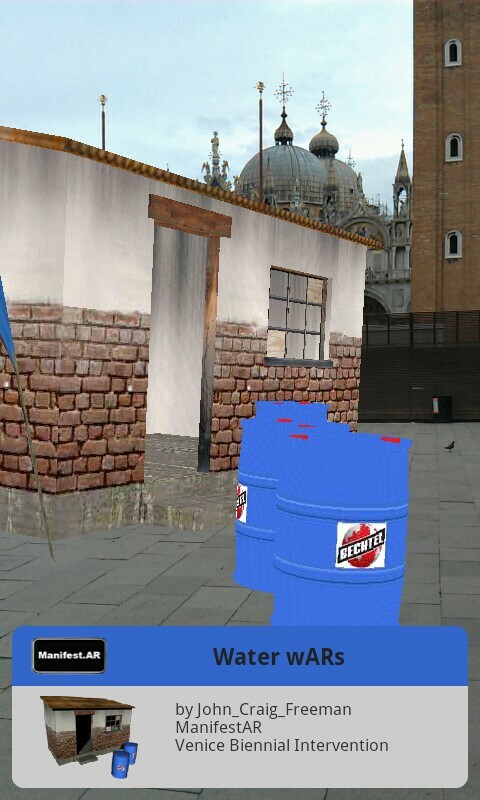 As one of the world’s most important forums for the dissemination and ‘illumination’ about the current developments in international art, the 54th Biennial of Venice could not justify its reputation without an uninvited augmented reality infiltration. 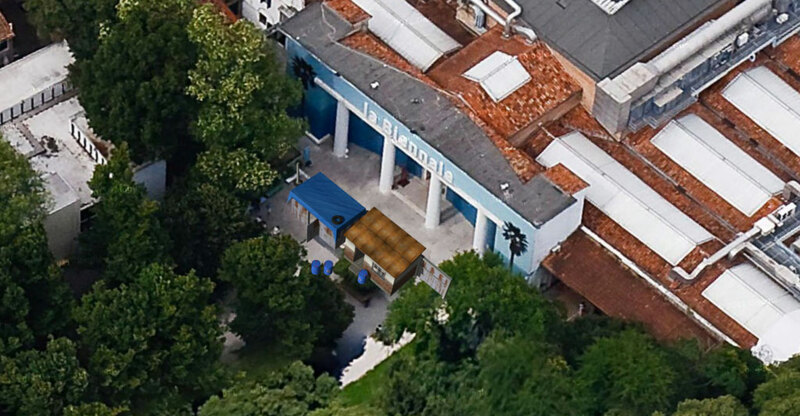 In order to challenge the conventions through which contemporary art is viewed ManifestAR constructed a series of virtual pavilions directly amongst the national pavilions in the Giardini. The term “nations” in ILLUMInations applies metaphorically to recent developments in the arts all over the world, where overlapping groups form collectives of people representing a wide variety of smaller, more local activities and mentalities. In addition, I am in favor of a Biennale with the Pavilions, because they represent an extraordinary opportunity for dialogue among the artists. 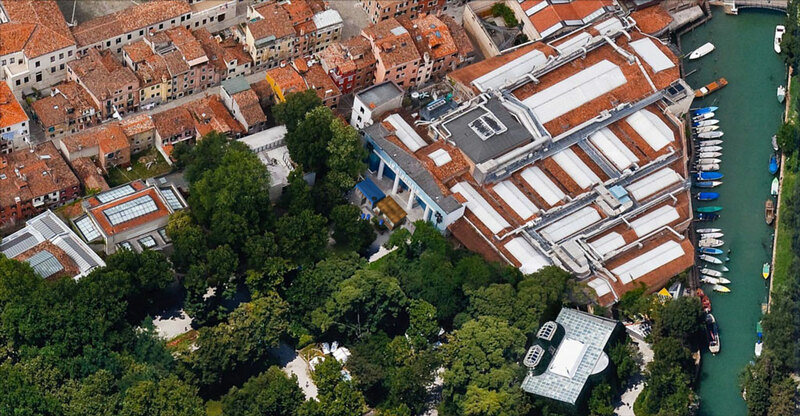 The Arsenale offers me an opportunity to bring together the works of artists who use the space as a medium through the creation of ‘para-Pavilions’. Sometimes the Pavilions of the Biennale are considered anachronistic; on the contrary, they can be a tool to reflect upon the issue of identity. I wish to reinforce the sense of unity between the International Exhibition and the National Participations, by asking the artists from every country and the artists of ILLUMInations to answer 5 questions regarding this theme. Where do you feel at home’? Does the future speak English or another language? Is the artistic community a nation? How many nations do you feel inside yourself? In accordance with the “ILLUMInations” theme and Curiger’s 5 questions our uninvited participation was not bound by nation-state borders, by physical boundaries or by conventional art world structures. 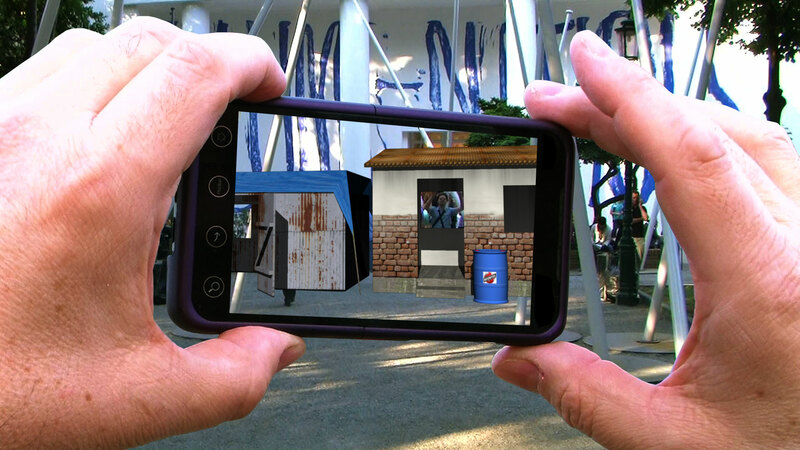 The virtual pavilions at the 54th Biennial reflected on a rapidly expanding and developing new realm of augmented reality art that radically crosses dimensional, physical and hierarchical boundaries. In a city founded by refugees, Water wARs anticipates the flood of environmental refugees into the developed world caused by environmental degradation, global warming and the privatization of the world’s drinking water supply by multinational corporations like Bechtel. "Water wARs," Giardini, oblique closeup. 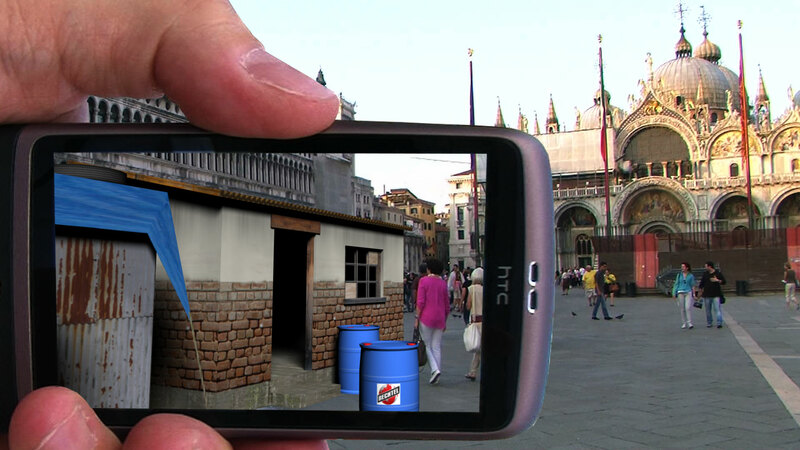 Artist John Craig Freeman, in association with the augmented reality artists collective ManifestAR‘s Venice Biennial AR Intervention, has created a public art work in and around the Giardini Pavilion and in Piazza San Marco during the 2011 Venice Biennial. 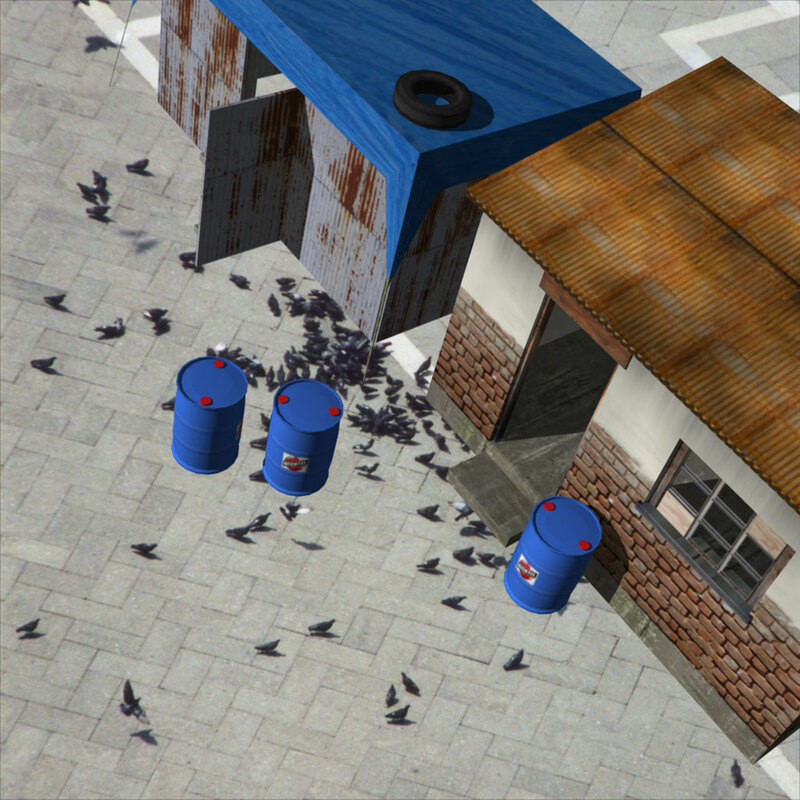 The project consists of a Water wARs Pavilion for undocumented artists/squatters and water war refugees. The Water wARs Pavilion will grow into a sprawling shantytown over course on the biennial from the June 4th to November 27th. 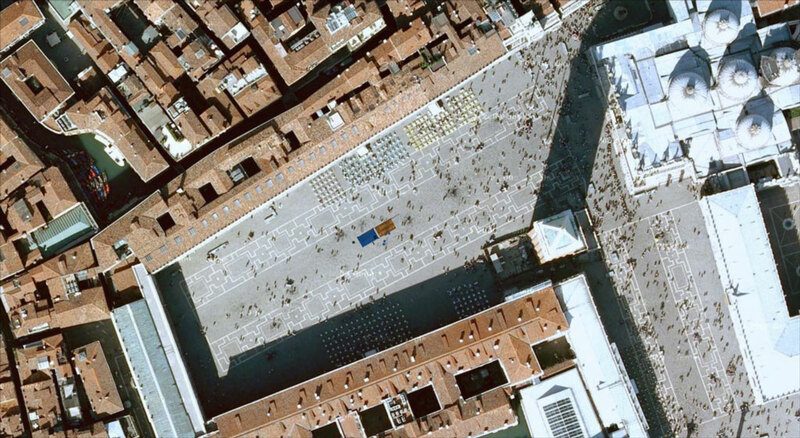 "Water wARs," Piazza San Marco, birdseye. 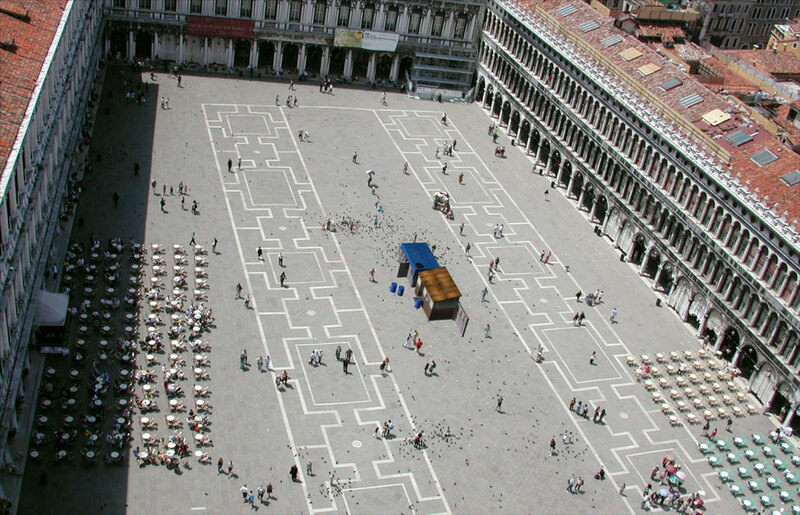 "Water_wARs," Piazza San Marco, oblique. 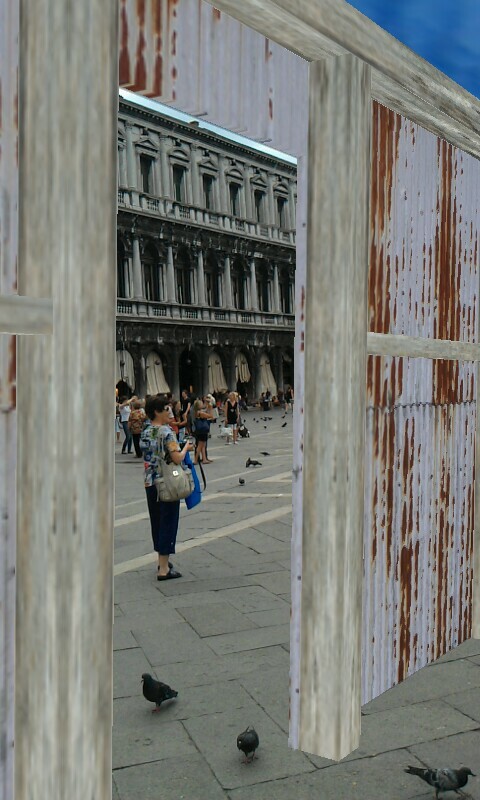 "Water wARs," Piazza San Marco, oblique closeup. 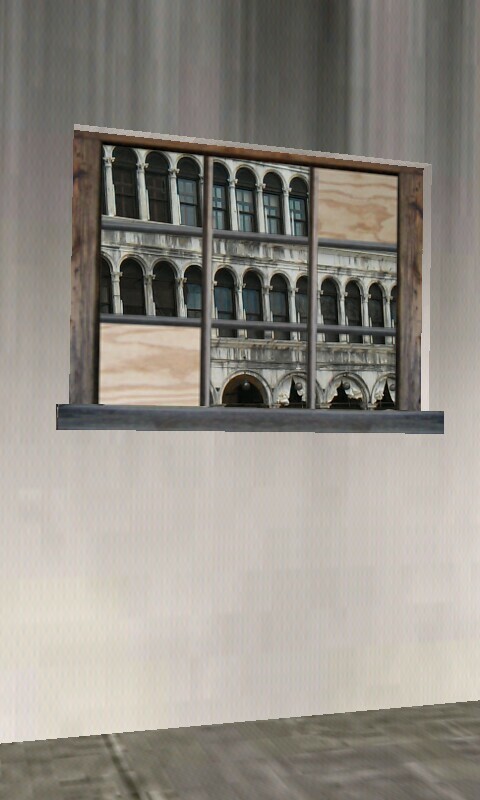 Launch Project: If you are in Venice, you can launch project on your iPhone or Android now. Bio: John Craig Freeman is a public artist with over twenty years of experience using emergent technologies to produce large-scale public work at sites where the forces of globalization are impacting the lives of individuals in local communities. His work seeks to expand the notion of public by exploring how digital networked technology is transforming our sense of place. He has produced work and exhibited around the world including in Xi’an, Belfast, Los Angeles, Beijing, Zurich, New York City, Taipei, São Paulo, Warsaw, Kaliningrad, Miami, Bilbao, Havana, Atlanta, Calgary, Buffalo, Boston, Mexico City, London and San Francisco. In 1992 he was awarded an Individual Artist Fellowship from the National Endowment for the Arts. He has had work commissioned by both Rhizome.org and Turbulence.org. His work has been reviewed in The New York Times, El Pais, Liberation, Wired News, Artforum, Ten-8, Z Magazine, Afterimage, Photo Metro, New Art Examiner, Time, Harper’s and Der Spiegel. Christiane Paul cites Freeman’s work in her book Digital Art, Second Addition, as does Lucy Lippard in the Lure of the Local, and Margot Lovejoy in Digital Currents: Art in the Electronic Age. His writing has been published in Rhizomes, Leonardo, the Journal of Visual Culture, and Exposure. Freeman received a Bachelor of Art degree from the University of California, San Diego in 1986 and a Master of Fine Arts degree from the University of Colorado, Boulder in 1990. He is currently an Associate Professor of New Media at Emerson College in Boston. Water wARs, Piazza San Marco.